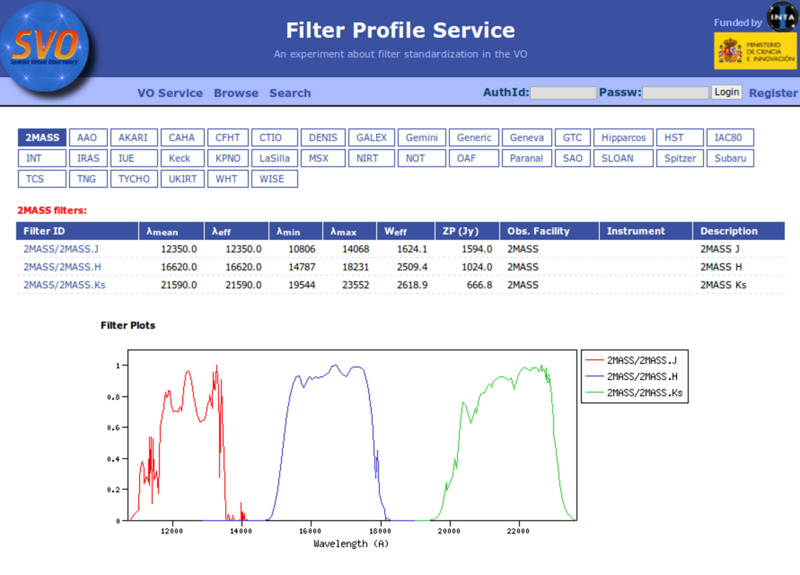 Most of the filters from the SVO Filter Profile Service are available to be used in VOSA using the FilterID as name. Please, check the Filter Profile Service for details. The link will open in a different window. 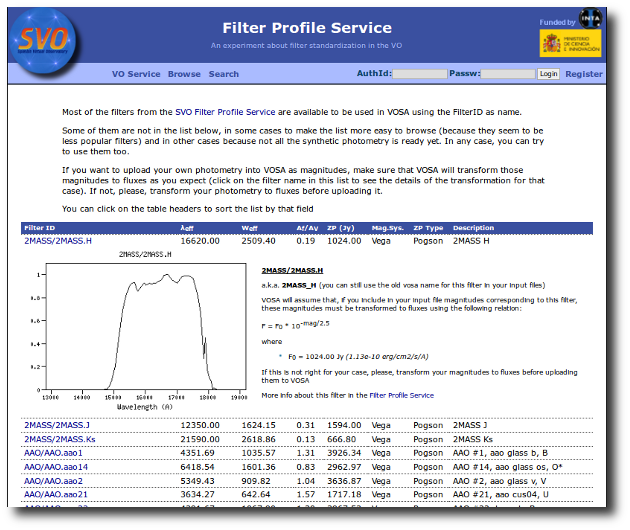 The filter properties are used by VOSA in a number of ways. The filter transmission curve is used to calculate the synthetic photometry for each of the available theoretical models or observational templates. This synthetic photometry is what will be compared to the observed photometry in the model fit or bayes analysis. 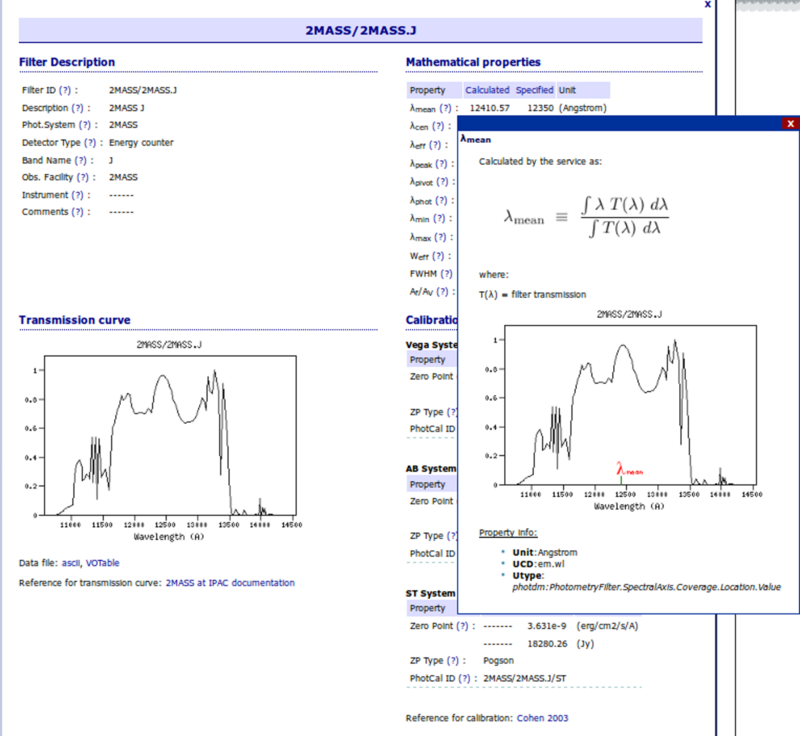 As the x coordinate for the different plots showing the object (or model) SED. Indirectly, the Af/AV value given by the FPS is calculated for this value of the filter wavelength. Thus, it has some effect in the deredenning. 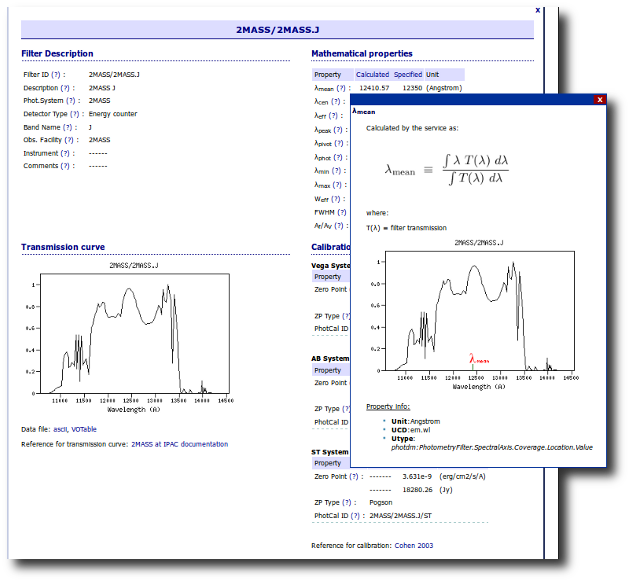 The zero point is used to transform magnitudes to fluxes if the original photometric values are given as magnitudes (either in your input file or in photometry coming from VO catalogs). 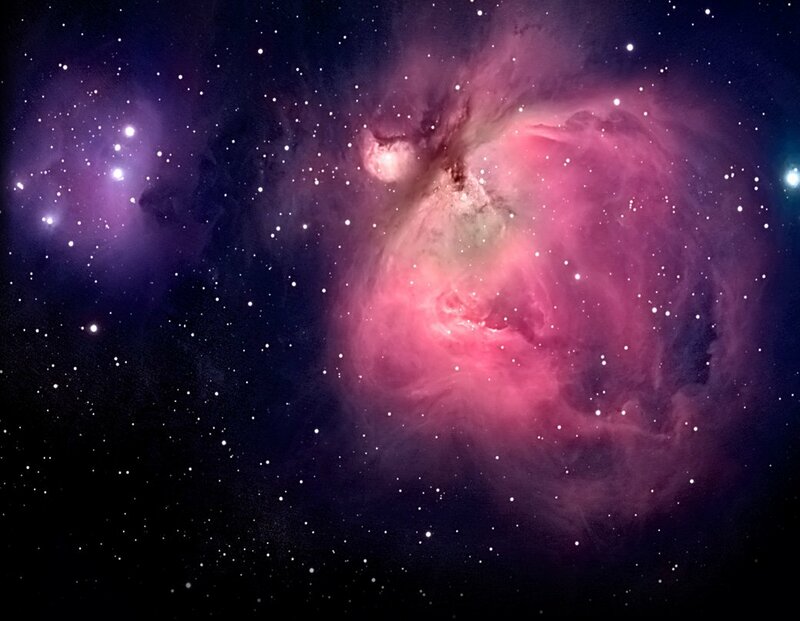 In that case, the corresponding magnitud system will be taken also into account. 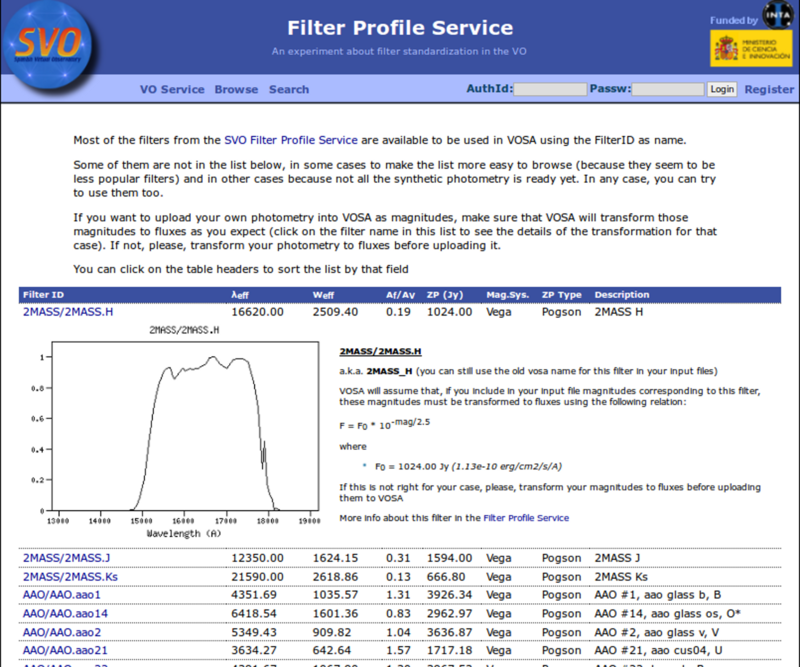 The link above shows a summary on how VOSA will use the filter properties. You can click on any filter name to see more details and you can also use the table column titles to sort the table using that field. Besides that, you can access the full information in the Filter Profile Service using the "Browse" or "Search" links in the top menu. 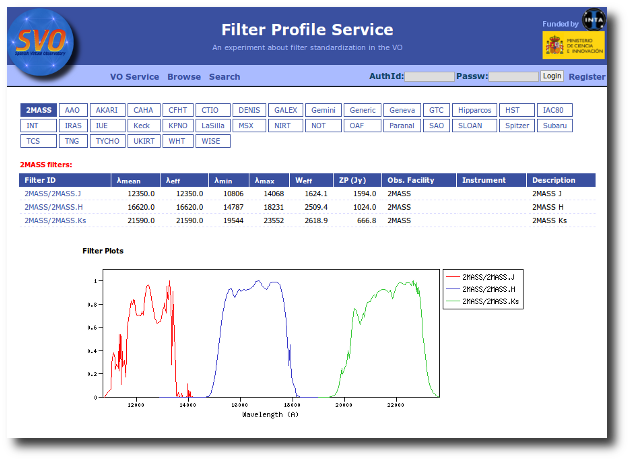 You can see a summary of all the filters in a given "family" (instrument, mission, survey, generic...) or click in any filter to see more details on the filter properties and how they are calculated by the service or where they were found in the literature.